Enterprise social software and customer experience software enabling organizations to use collaboration software tools to innovate and communicate. "Above and Beyond, couldn't be happier! " I think the look could feel a little more modern. The search ability is good, but at times I think it could be better and easier to access the data our call center reps are looking for. I feel Moxie is the industry leader when it comes to products like this. Moxie allows quick knowledge share that is vital to providing top notch customer service to our customers. We are able to change content on the go and get communication out in real time. I believe all the utilities I network with use Moxie. We are using Moxie as a knowledge share. Our call center reps need to know a large amount of information and at times cannot recall the specifics so they open Moxie to find what they need. This is so much more efficient and cost effective than printing off paper copies for them to reference. There isn't anything that I dislike about Moxie. Whenever we have raised issues or concerns they are quick to respond and assist. Ability to add many standard responses in both chat and email platforms. Almost everything else. The program is very clunky. You can write an email in one font with perfect line spacing, and it arrives to the customer looking like a ransom note with a variety of different fonts and random line spacing. Impossible to reply more than once to an email. If you hit send and then realize you forgot to say something, no chance to hit reply again to send a second response. Again, just clunky. Not at all slick like some other programs I’ve used. Don’t sacrifice ease of use for cost. I can’t speak to this; I feel like the program has hindered us rather than offered any improvements. 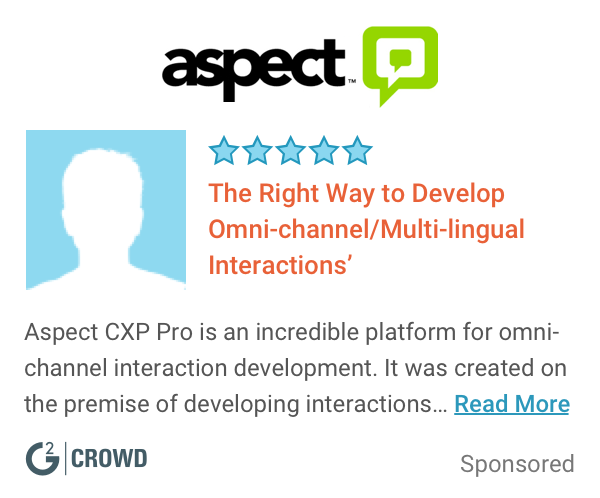 "A great chat solution that scales well and adapts to mobile"
Moxie is an innovative cross platform solution that helps drive customer engagement and sales across multiple device platforms including mobile. From a sys admin experience side of things it can be difficult to maintain compatibility with the moxie agent as it tends to be particular about what flavor of IE and java it requires which lags considerably behind the current version. Be wary of their limitations with updating their product to be compatible with the latest versions of Java and IE. Driving customer engagement and closing sales for users adverse to phone interaction. Proactively pinging customers to avoid abandoned baskets. The agents like the ease of use within Moxie and claimed they were able to move between various queue boxes efficiently. It was a major complaint initially once we moved away from Moxie to Oracle Service Cloud. Our service agents really became comfortable with Moxie. They complained about the ease of use once we switched to another product, but I suspect it's because the ad gotten used to Moxie. Overall, it was not as versatile as Oracle Service Cloud. As a software package, Moxie delivers a relatively robust set of tools for intermediate level projects and solutions. I like the connectivity between customers and helping guide them efficiently. It is easier to optimize customer service without using too many people to answer questions. Great use of talent across the board. Addresses use of talent, resources, and experience to give you the most bang for your buck. Definitely strives for customer engagement and has provided much success with sales. I had the system crash several times in the first month of using. However, this problem has become less frequent with time. Stick with it! There's a learnig curve. Communication between associates and clientele has become so efficient. Everything flows so smoothly now. "Moxie review from a previous but satisfied user. " Experienced quite a few system crashes that I wasn’t expecting with such frequency. Easily fixed with a reset, but still time consuming. The chat and messaging experience allows for quicker response team and easier correspondence. These days people would rather chat electronically than speak over the phone. Good product for the company and easy to use. Gets the necessary jobs done! Glitches do happen semi frequently. There are several work around that make it not so annoying once you're used to it. I use moxie for all customer service questions. "If it's not broke don't fix it"
I like the organization that this program has. It is simple to toggle between inboxes and respond in a timely manner. It took awhile for us to get the final product in place and moving, however we were extremely satisfied with their work! be patient with the process. It takes time to make a good brand, image, and marketing content. "Moxie was easy to use and a great platform for the duties I required it for." The interface was intuitive and easy to use. I did not have to train extensively in order to utilize it effectively. There were some connectivity issues in the beginning, but once I got IT involved it was smooth sailing from there. Moxie makes it easier to communicate, pinpoint problems and ultimately have a smoother transition from ideas to reality. The way you can curate unique customer engagement to your company and website in mobile format. I don't like the learning curve it took to work this product. Creating unique mission experiences for college students. "Email and Chat Provider - Spaces by Moxie V 9.10.3369"
We use Moxie to manage email and chat for our customer care and customer service operations. On demand system that is used across multiple locations seamlessly. Moxie provides a lot of great features and functionality hard to find a competitor that offers the same level of service for the limited scale that we choose to use. Moxie is Java based. That being said, Moxie often lags behind with Java compatibility. This has had impacted the functionality of the application unless we throw security aside to use previous (old) versions of Java. Moxie support is no longer based in the US unless the support ticket is escalated. So our contacts and history of support contacts are now irrelevant. During the transition access to quality support and working items to resolution was VERY difficult. We'd go days/weeks/months between responses. Moxie has been a good standalone email and chat application. Single source of chat and email for our agents. Moxie is cost effective. "Moxie has its pros and cons"
Customization of the frequently used sayings has been helpful in letting our reps be efficient. It tends to crash a lot which requires a reset, resulting in business interruptions. 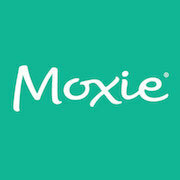 Check the compatibility w/you current phone routing prior to partnering with Moxie. We are able to assist our customers via chat. Efficient partnering w/customers. We are very new to using this software. Not sure at this time. "Makes emailing and chatting quick and easy"
Moxie makes receiving and responding to emails quick and efficient. Moxie's set up can be a little confusing, especially when you are first learning how to use. We solve customer service issues through email and chat. "very helpful for quick communication"
"Moxie for Customer Service Inquiries"
Customer service inquires. Having all inquiries in a centralized area is more efficient. It allows realt time chat wothout having to go through the phone. * We monitor all Moxie reviews to prevent fraudulent reviews and keep review quality high. We do not post reviews by company employees or direct competitors. Validated reviews require the user to submit a screenshot of the product containing their user ID, in order to verify a user is an actual user of the product. Hi there! Are you looking to implement a solution like Moxie?